Ruminal fermentation produces greenhouse gases involved in global warming. Therefore, the effect of nutrient combinations on methane, carbon dioxide, and biogas production as well as ruminal fermentation kinetics was evaluated in in vitro studies. In total mixed rations, dietary corn grain was partially replaced by two levels of soybean hulls (a highly reusable residue), and a Moringa oleifera extract (a natural extract) at three concentration levels was added. Higher levels of both soybean hulls and M. oleifera extract delayed the initiation of methane production and resulted in a lower methane and carbon dioxide production. Thus, total biogas production was also lower. Replacement of corn grain by soybean hulls tended to lower methane production rates and asymptotic carbon dioxide production, and a delay in biogas and methane formation was observed. Asymptotic biogas and carbon dioxide production, however, were increased. The presence of M. oleifera extract tended to delay methane formation and to decrease methane production rate as well as asymptotic methane production. Higher M. oleifera extract levels decreased asymptotic biogas production with the control and the highest soybean hull levels. In the presence of M. oleifera extract, asymptotic carbon dioxide production was shown to be quadratically increased with the control and lowest soybean hull levels, but quadratically decreased with the highest soybean hull level. With the exception of fermentation pH, the interaction of substrate type and M. oleifera extract level was shown to have an effect on all fermentation parameters. Most fermentation parameters were shown to be higher when replacing corn grain by soybean hulls, including fermentation pH. 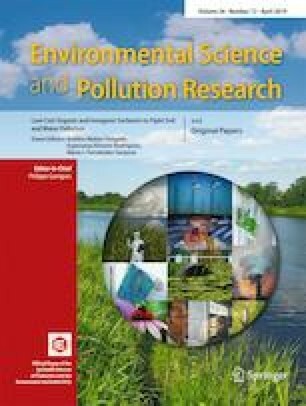 Thus, the conclusion could be drawn that corn grain replacement by soybean hulls (an agricultural residue) in the presence of M. oleifera extract (a sparing leaf product) could ameliorate greenhouse gas emissions and improve digestion.